P.O, Box 28921 Kampala Uganda. 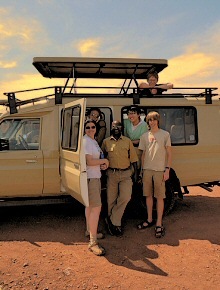 We organise safaris and tours to Uganda and Rwanda. We are a top adventure company in East Africa and specialize in gorilla trekking, wildlife game viewing, mountain climbing of Rwenzori and Kilimanjaro, Uganda safaris to sightseeing destinations and other travel parks.